If a rustic wine and cheese affair is what you crave, Picnic Plus's Largo Basket will fulfill your desires. Unclasp the hinge on this dark willow basket to reveal ample storage space for food, plus wine goblets, plates, and utensils for two. The unique, eye-catching design has storage space for two wine bottles outside the lidded compartment. Bought this for friends for their engagement. Very nice basket. Just right for some wine and cheese or nice lunch. Not a huge basket but that's what I wanted. I know they're going to love it. This was a 2nd anniversary gift for my daughter & son in law. They were very pleased with the look of the basket and the contents and hope to have many romantic picnics. I bought this as a wedding shower gift for something not on a registry and it was a big hit with the bride to be. Love this basket! Can't wait to use it. I am a very pleased customer!! My niece is getting married next month and I thought it would be a lovely wedding shower gift! My niece was so excited. It was something she always wanted and was so surprised when she opened it! High end quality! This was part of a 25th Birthday gift for my son's girlfriend. Her new apartment is 2 blocks away from a huge park in Brooklyn. She loved it & can't wait to go to the park with my son. 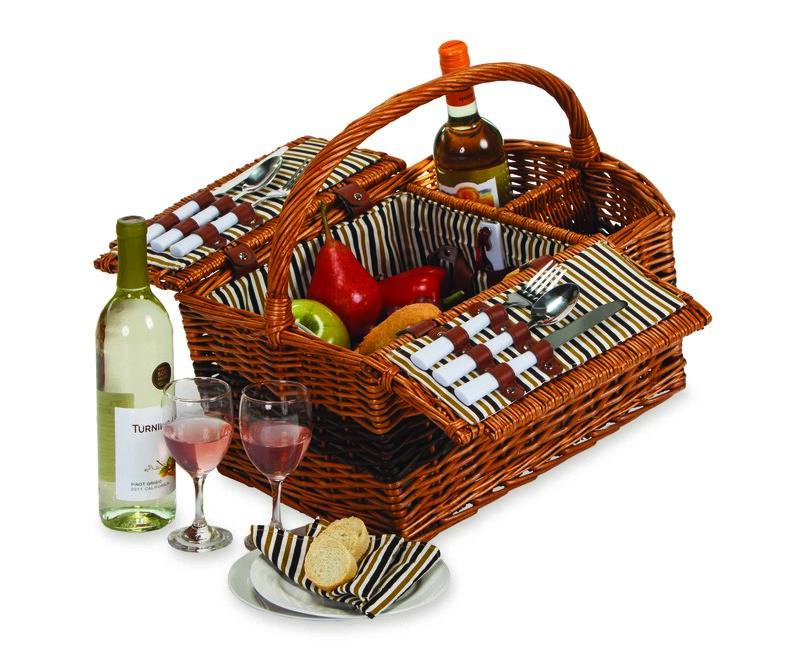 I am so glad that your company came up high in the Google search,and since I had never had any dealings with you, I took a leap of faith and browsed the online store, found immediately what I wanted at an affordable price, ordered effortlessly, and Voila, the picnic basket came in BEFORE the allowable time! It was a wedding gift and terrible me, I didn't wrap it, I just placed 2 bottles of wine and some snacks in the basket, showed up at the very exclusive country club for the event, and when I walked in with this beautiful basket, I got some really nice compliments. And then the day after the wedding, I received a text from the newlyweds before leaving for Hawaii to tell me they loved it and couldn't wait to go on their first picnic as a married couple with this beautiful basket! Thank you Picnic World! I now have to get one for myself! Wow, I bought this for a gift for my daughter and she loves the basket! The quality and design is wonderful. This was a gift for my parents for Christmas and they absolutely loved it. I loved your selection and availability. I also thought it was well priced. This picnic basket definitely exceeded all of our expectations. 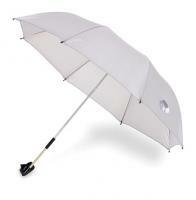 The craftsmanship is high quality and it makes the whole picnicking experience all the more fun and enjoyable. Thanks to your website! This basket made quite a hit at a wedding shower. It included a bottle of red and a bottle of white wine, a wedge of cheese and some bread. Everything fit rather nicely, so, it had all of the essentials for a fine picnic. It was made quite well and the prospective bride and groom loved it. Just add a blanket and a little romance. This is an excellent gift! She loved it! I love this basket!! It just begs to be grabbed, filled & off to a romantic picnic. My husband & I have been married for 22 years & we have been like honeymooners since getting this lovely basket. Everyone that I show exclaims how much they love it & would want one. It is very nice for a wedding or anniversary gift! It was a wedding shower gift. She loved it! We bought the picnic as a wedding gift and it looked to be built very well and had all the features that we wanted. The newlyweds haven't used it yet, but I am sure they will enjoy it. I bought this for a friend as a wedding gift and she LOVES it. It is very sturdy and holds two bottles of wine - very unique design! I purchased this item for a wedding shower. The couple seemed very happy with the gift. The basket seemed well made and was a good size for two people. I was a little disappointed in the small size of the plates and I added a small wooden cutting board, as it did not come with one. Overall happy with the product. 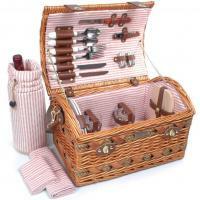 I purchased a Picnic Plus Largo 2 Person Wicker picnic basket. It is gorgeous!! Very good quality for being hand-made. I guess I didn't read the description very close when I ordered it so when I received it I was very pleased to find the silverware was stainless steel, the wine glasses were glass and the plates are ceramic! I am making a picnic quilt to go with it and will be giving it to my son as a wedding gift. So it passed my "pickiness test", is very much "up to my standards" and make me confident in giving it as a gift. P.S. I did have to return the first one I received because there were 2 places on it that had a small defect (usually wouldn't even have been a problem) but it was for such a special occasion and since if I had purchased it in a local store I would have taken it back and exchanged it, I figured I would contact the company (Picnic World) about it. Although I was wondering how big a hassle it was going to be. It was no problem at all! They responded promptly and courteously! They sent me a new basket within a week with a paid shipping slip for me to return the original. I can't wait to give it to my son and new daughter-in-law on their special day! I have not had the opportunity to use my basket. I am sure it is fine. The service and quality of Picnic World was solid. Everything exceeded my expectations. The basket and contents were very nice. The only thing that I would suggest would be purchasing a small table cloth or picnic blanket. It is a nice basket!